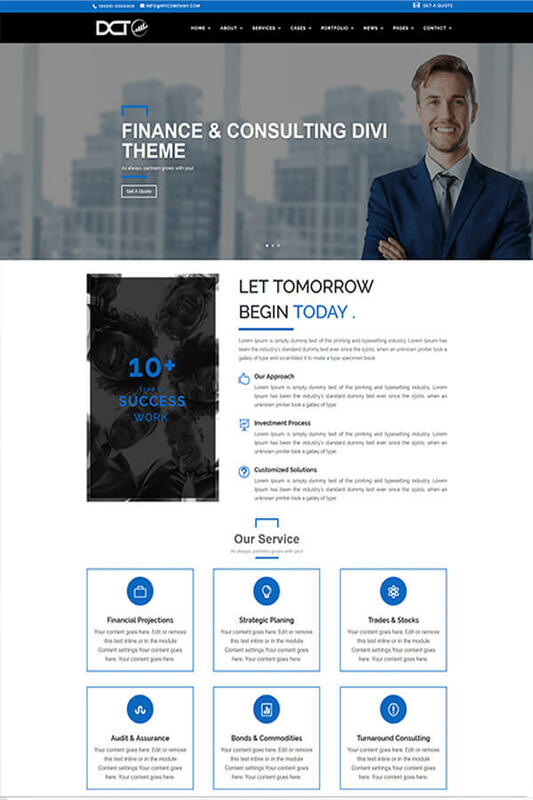 DIVI Finance & Consulting Theme is a Multipurpose Premium Divi Child Theme with 65+ Prebuilt Pages With 3+ Different Section for Each Module and Lot of Custom Theme Options In Divi Finance & Consulting Child Theme. Perfect for Financial Adviser, Accountant, Consulting Firms, insurance, loan, tax help, an Investment firm. 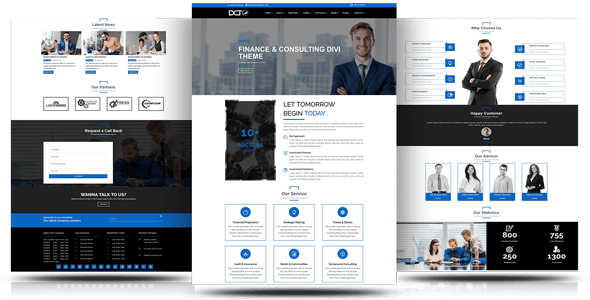 The clean and modern design of Divi Finance & Consulting Theme will give your website a brand new and updated look.